As a child, I recall being invited to attend the local theater and it was music to my ears when my parents said, “I Got You Covered.” It was pure excitement to enter and escape for two hours from the heat and enjoy the show FREE! Another time I remember being invited to an NBA game and sitting just a few rows behind the visitor bench and my dear friend, John Finamore’s father had the hook up while we were in junior high and high school and he not only treated to the game but bought pizza en route the arena. It was humbling and an honor to hear the words, “I got you covered.” We smiled non stop knowing we were in a place we couldn’t afford and blessed to be in attendance. Maybe you were invited to a cruise, concert or retreat from a friend only to hear the four glorious words strung together “I got you covered.” When someone digs deep and graciously pays it is a blessing. When the expenses are paid it is EXCITING! The Bible notes, “It is more blessed to give than receive.” Without question, we are never more like Christ when we give and forGIVE. It has been said, “God helps those who help themselves” but the fact is Jesus helps those who cannot help themselves. Three weeks ago while preaching at Hanover First Church of God in Pennsylvania at a two day men’s conference (thanks to my good friend, Pastor Chris Brammer for recommendation) I told them to picture Christ suspended between Heaven and Earth nailed among two thieves on a cruel cross at ‪#‎Calvary‬. The Holy Spirit gave me a word that I have never said nor EVER heard another say. With heads bowed and eyes closed I shared picture the sinless Savior drenched in mud and blood and dipped near death in sweat and sin. Sitting in the airport waiting for Deanna. Tears in my eyes as I read this. People may think I am CRAZY but as you just said, I am COVERED!! Thank you Jesus! I’m utterly speechless. 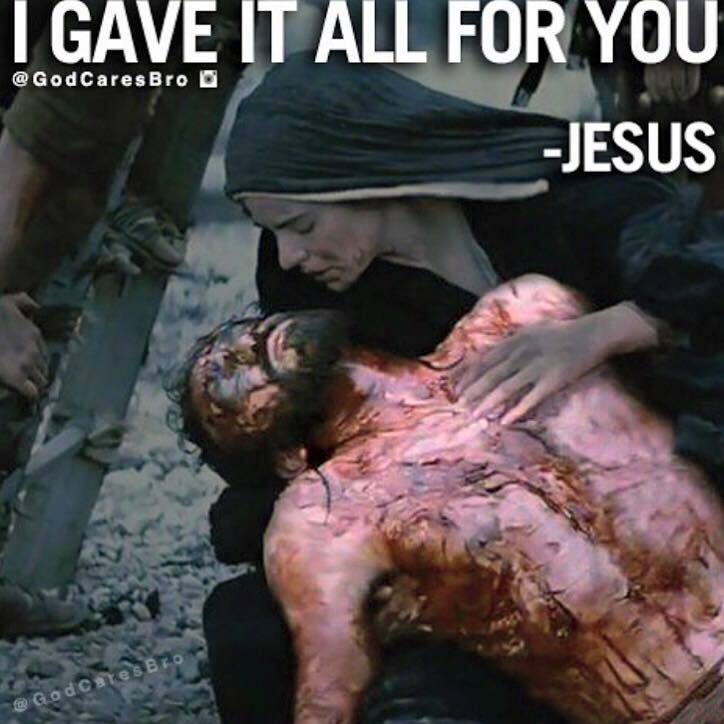 No one has ever loved me to such a degree as Jesus. Why wouldn’t we want to do the will of our Father who sent Him. Thank you for sharing. So thought provoking. I’m grateful – HE HAS ME COVERED!!! Oh my my my Frank Shelton you found a nugget there brother…I have no doubt that God dropped that in your spirit so many would read those words and they would bring strength, hope and relief to many people in FB world. This blessed my day! We pray for you in Maine and thrilled to hear you are preaching a city wide crusade in Vermont next month. Hope to see you! !